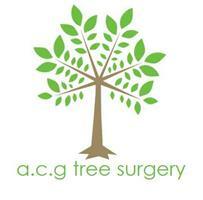 ACG Tree Surgery - Garden Services, Tree Surgeon based in Eastbourne, East Sussex. ACG tree surgery provide a specialist arboricultural service. We provide a quality service to clients, both commercial and private across East Sussex. Based in Eastbourne we provide expertise and experience in Tree Surgery, Soft Landscaping and Fencing through East Sussex. Our strong reputation in the area has been achieved through our skilled and knowledgeable workforce who deliver a professional service with high levels of safety, quality and customer care. We are fully insured for our operations, we adhere closely to British standards and legislation, and ensure our arborists are certified to the NPTC industry standard. ACG tree surgery offer a full set of tree and landscape services to both domestic and commercial clients. From tree surgery, hedge cutting, Stump removal, lawn mowing, general gardening, planting, turfing, garden clearance, green waste collection, grounds maintenance through to fencing. We are a friendly and reliable tree surgery company and carry out each job to the highest standard. NO VAT! We are a small company and currently do not charge VAT same high quality work 20% less. For any help or advice please do not hesitate to contact us. Call for a free quotation, quotes are done personally by myself and I work on every job.